We're celebrating Chocolate Milkshake Day today! With our healthy diabetic friendly version of course. 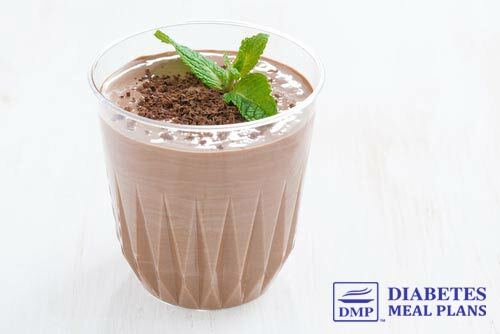 That's right…just because you're diabetic, does not mean you can't enjoy a sensational chocolate milkshake. To say this milkshake is awesome is an under statement! It's creamy, sweet, filling, and delicious. You really wouldn't know that it's a much healthier version of such a ‘naughty' treat because it tastes just as naughty – but it's entirely sugar free. I've recently discovered chocolate flavored stevia extract. It's chocolate flavor is so rich and really makes things taste chocolate without adding chocolate – it even fooled my partner into enjoying this milkshake! He was also surprised to learn that the milkshake contained avocado. Avocado is not something you'd typically think of putting in a milkshake but this is what gives it the smooth, creamy texture, and fills it with healthy fats to fuel your afternoon – well, that's if you were to have it for an afternoon treat. A 12 floz./ 350 ml typical thick chocolate milkshake comes in at a whopping 72 g total carbs, 1 g fiber, 71 g net carbs. Our low carb diabetic milkshake comes in at just 11 g total carbs, 6 g fiber, 5 g net carbs – meaning your blood sugar won't suffer the consequences. 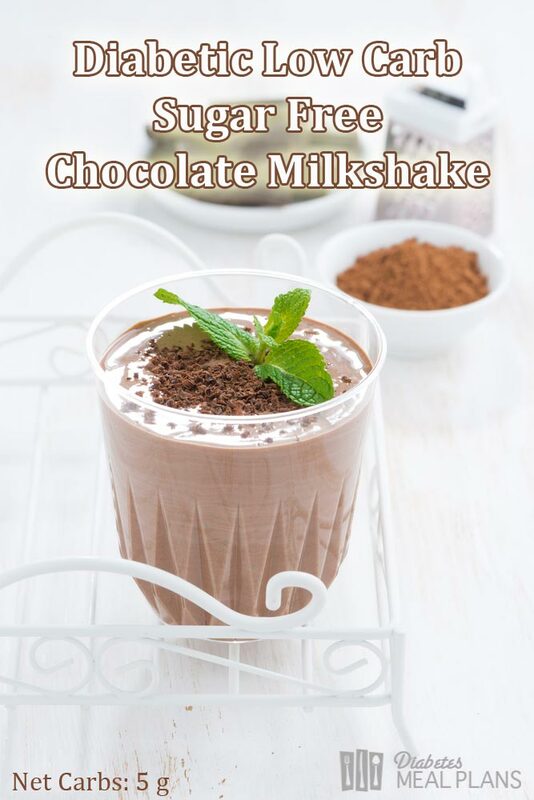 I can assure you that you can indulge in this low carb diabetic milkshake entirely guilt free. And please share the recipe around, I know your friends and family will LOVE it too. And if you want more foodie inspiration, CLICK HERE to subscribe to our weekly news – it's always loaded with deliciousness.